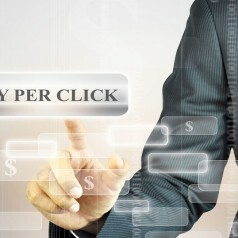 PPC, or “pay per click”, is an instantaneous way of getting consumers in front of your products and services. However, PPC campaigns are challenging. Tweaking them to run smoothly is an art. If you’re having trouble with your PPC campaign, here are a few tips to help get you on the right path. Any digital ad agency will tell you: start your campaigns on a small budget to test the waters. Starting a campaign with a huge budget, not knowing what will convert, is a rookie mistake that could cost your business way more than what your were expecting. Increase the budget slowly after you know what’s generating leads and sales. It’s possible to run a campaign without tracking, but it’s nearly impossible to cut costs and increase profits without knowing what ads are getting clicks and conversions. A digital advertising agency will setup a tracking code for every campaign that they’re testing to see what ads attract clicks and what ads turn those clicks into leads and sales. So if you aren’t tracking your campaigns, you need to get started doing so today. Getting into the habit of split testing ads to see which ad performs the best is another practice that digital agencies partake in to get the best results for their campaigns. When you find an ad that converts well, test another ad against it to try and increase your conversions even further. In time, you’ll see your daily ad spend start to drop and your income grow. Author’s Bio: Pierre Zarokian is a PPC and SEO digital marketing expert out of Los Angeles. He runs a Reputation Management Company called Reputation Stars. You can contact him from these links for further info.